Just like daddy?! 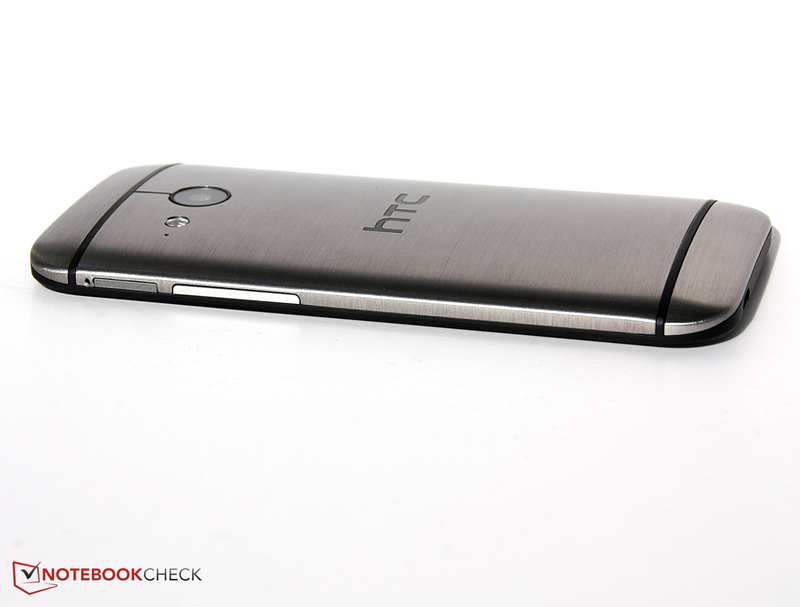 HTC's One M8 is one of the most interesting premium smartphones on the market. Now, a model with a smaller screen has been launched, dubbed HTC One Mini 2. Read in our report why the mini does a better job than the more expensive bigger model in some test fields. It has become a good tradition among premium smartphones. Sony does it, HTC does it, and Samsung has naturally been doing for quite a while: They all offer a more affordable, somewhat smaller and less powerful model of their 5-inch and more super-smartphones with prices in the upper mid-range. This lures customers who deem the premium devices as too big and too expensive, but who like the design and the high-quality feel. HTC's One Mini was such a device last year, which was not really "mini" with a size of 4.3". Of course, there is also the Galaxy S4 Mini, and an S5 Mini will be released in the next few weeks. Sony counters these with its Xperia Z1 Compact, which features just as powerful equipment as the "big" Xperia Z1. Even LG offers a smaller version of its premium phone with the G2 Mini, although the successor of the bigger model is waiting in the wings. 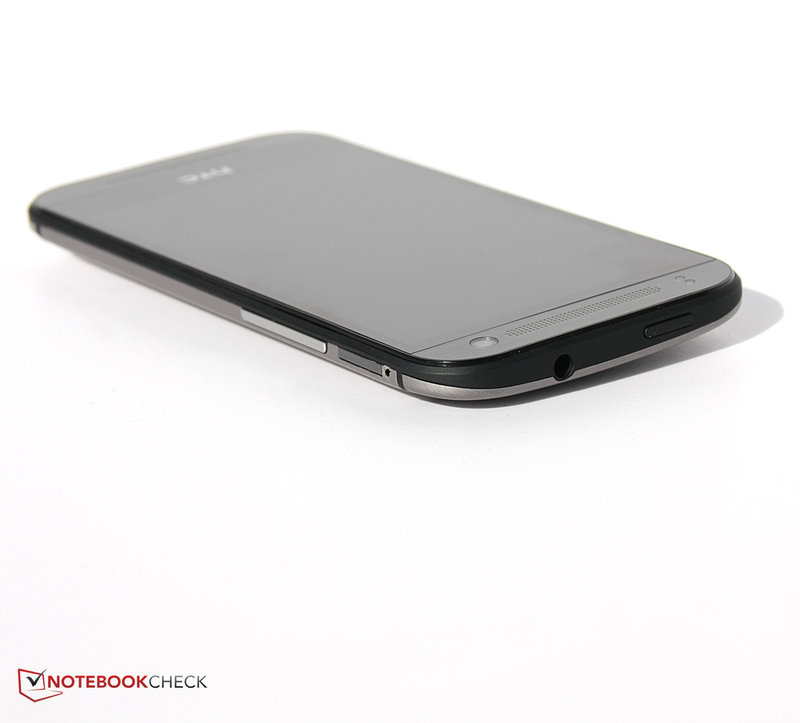 However, only its name was similar; not much of the LG G2's premium quality was left. Motorola's Moto X or the iPhone 5c might also be seen as contenders, even if the usual Apple surcharge has to be added to the latter. The casing features a premium build and is stiff, but hardly accessible for repairs. 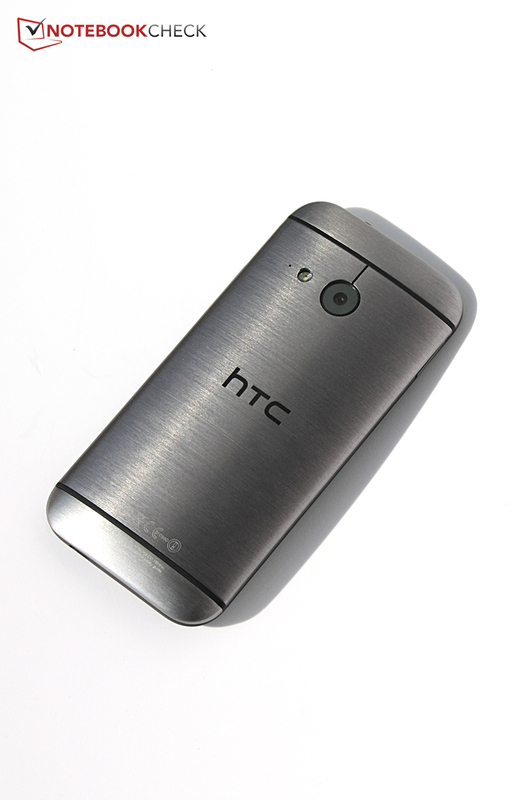 It is possible to talk enthusiastically about the casing of HTC's One M8: Milled from one piece of aluminum, absolutely rigid, and ergonomically shaped. HTC's One Mini speaks the same design language, and impresses with a very pressure resistant casing, a brushed aluminum back and round corners that make the smartphone very comfortable to hold. There is one minor drawback compared to HTC's One M8 though. 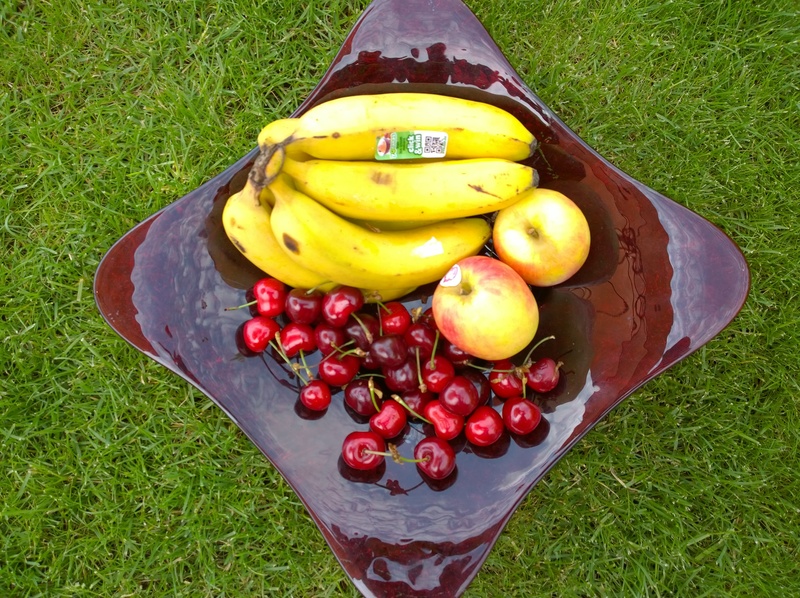 The aluminum tray in which the other components are put inside, so to speak, is slightly flatter; the remaining height is bridged by a plastic strap. 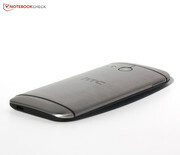 However, that was considerably more prominent in HTC's former One Mini. It is very inconspicuous, and is connected to the aluminum without a palpable edge in our current review sample. The front with two speakers and the metal-colored applications looks unique and elegant. 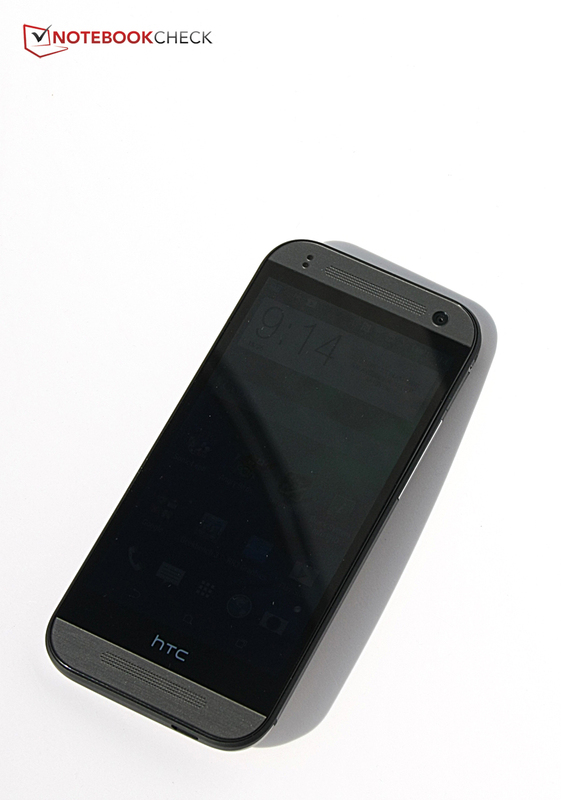 Furthermore, HTC's One Mini 2 is very non-slip, and lies very compactly and securely in the hand. iFixit has unfortunately not yet made a teardown for HTC's One Mini 2, and there is not much information about the device's maintainability. Fundamentally, the battery is not removable; the casing cannot be opened without softening the glue and special tools. Therefore, it is recommended to leave the maintenance up to experts. It is pleasing that the internal storage can be expanded via a MicroSD card, like the bigger HTC One M8. 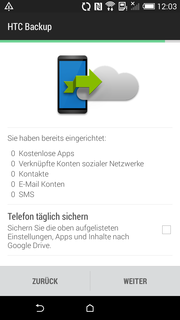 That makes it possible to save considerably more data on the smartphone than on the tight, 16 GB memory, which is reduced to a bit over 13 GB by the operating system. NFC is now also on-board, which the predecessor did not feature. Besides that, the maximum LTE download speed has been increased to 150 Mbit per second. 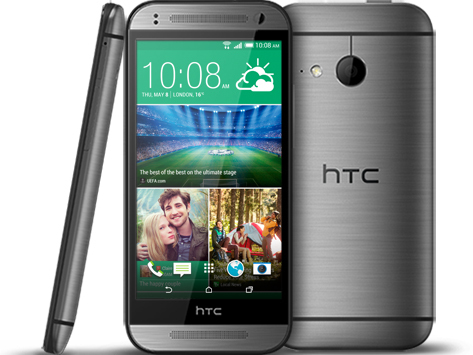 Thus, HTC's One Mini 2 has developed very agreeably, and has also adopted many assets of HTC's One M8. HTC Sense 6 looks modern, but is sometimes a bit crowded. The software has not really been modified compared with HTC's One M8. HTC's Sense 6 operates on the One Mini 2. The user interface is based on Android 4.4, so the latest Android version. The interface sometimes does not seem quite as clearly arranged as the stock Android software, but it supplies more features in return. We never had the feeling that the system needed explanation. 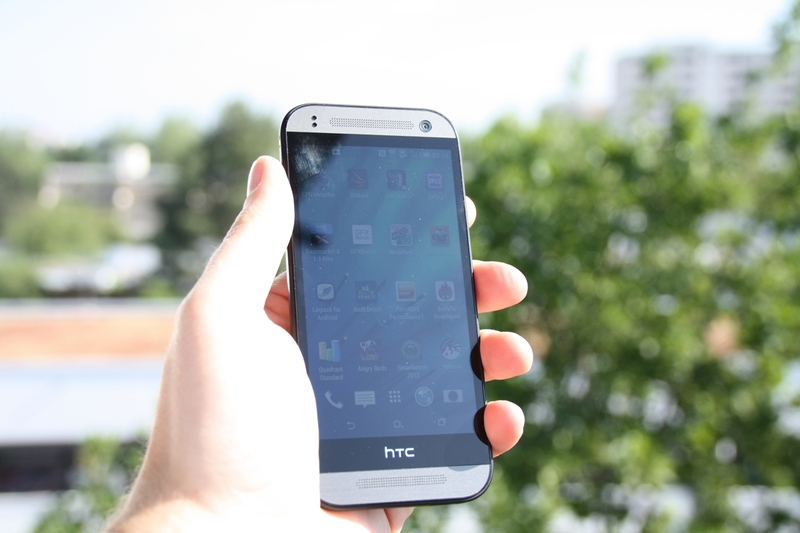 Users who have owned an Android phone will also be able to cope with HTC's Sense 6. 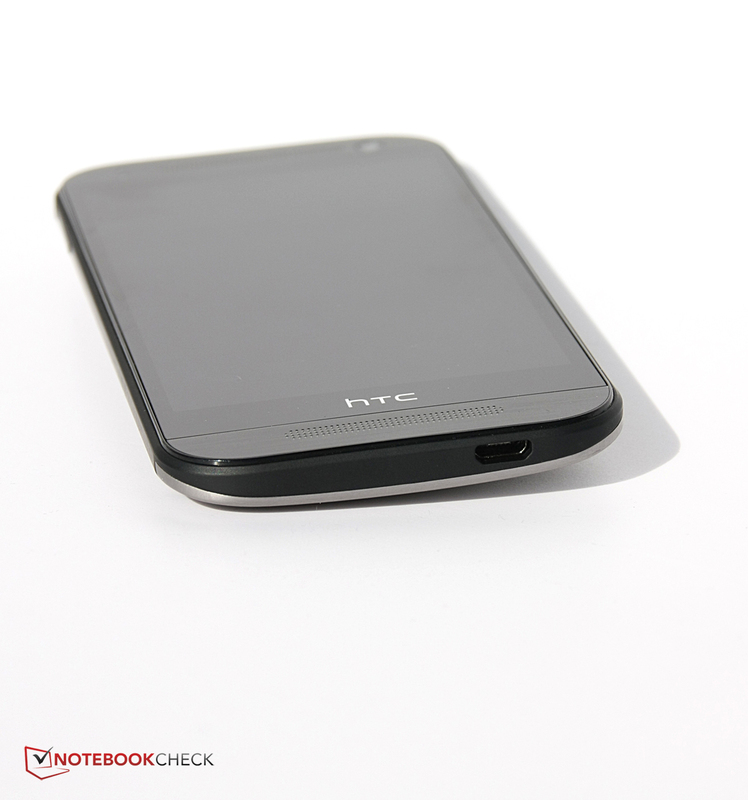 More information about the software can be found in the review of HTC's One M8. At the time, we reproached that the Zoe app was not finished, and thus an announced and heralded feature was not available at the smartphone's launch. That has not changed even almost two months later. The message "Coming Soon" still appeared after opening the Zoe app. It is about time, dear HTC team. The Wi-Fi module is a more basic model than the one in HTC's One M8. It does not support the high-speed 802.11 ac standard. It otherwise communicates with the Wi-Fi 802.11 a/b/g/n standards, and incorporates Bluetooth 4.0. The reception quality in Wi-Fi networks is nevertheless just as good as with HTC's One M8. 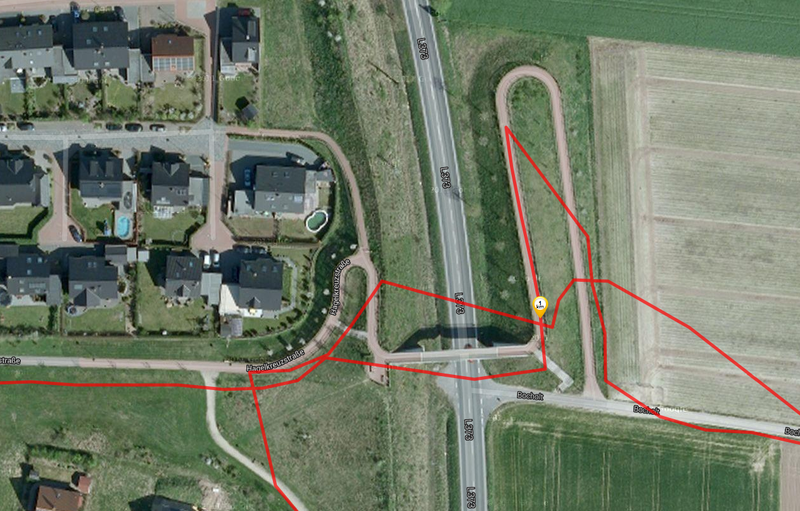 The full signal was still available even at a distance of ten meters (~33 feet) and through three walls. The signal dropped to 3/4 strength when separated by another wall and additional three meters (~10 feet). The reception quality in the mobile network was also good. We almost always had a good signal in an urban area. 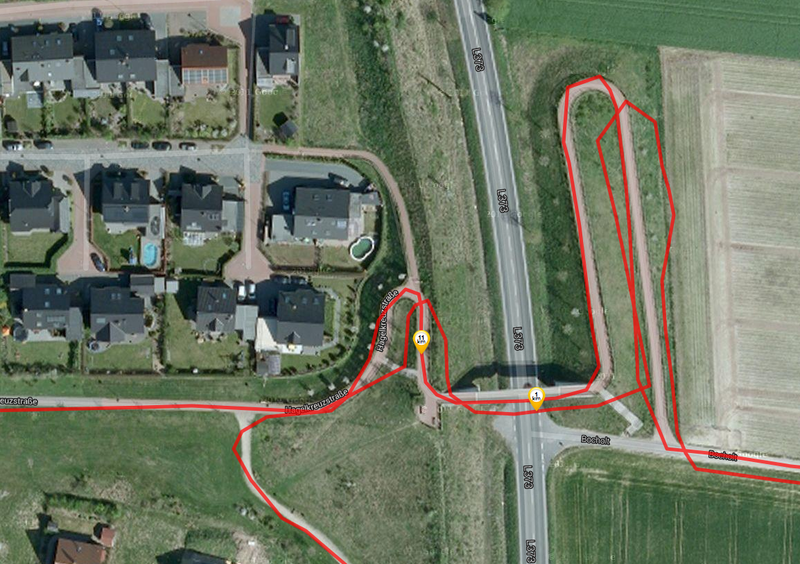 It looks a bit different with the GPS module. While the larger model displayed a fairly accurate localization even indoors, HTC's One Mini 2 had difficulties here. 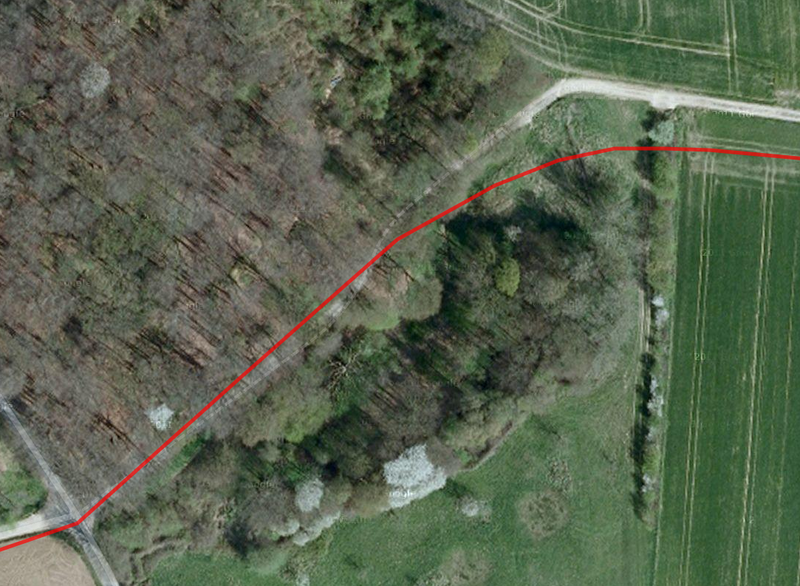 It even took a long time before it connected to a satellite outdoors, and then localization was only satisfactory to an accuracy of not quite 10 meters (~33 feet). 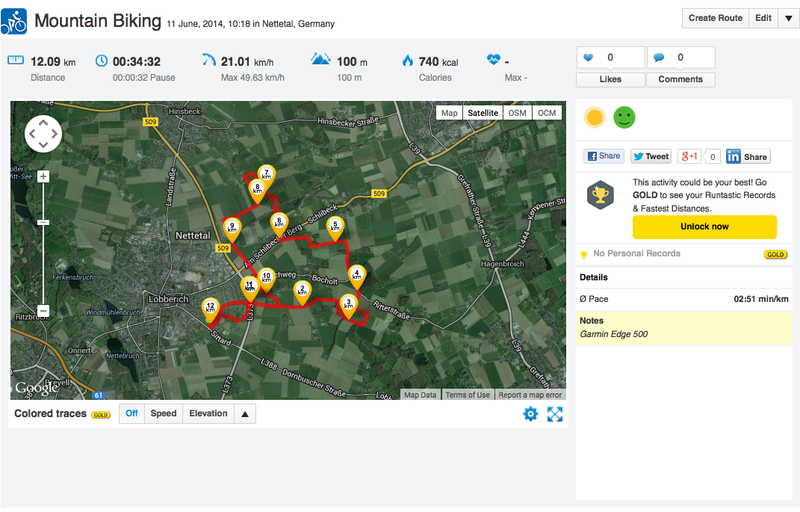 The test with our mountain bike also proved that the GPS is significantly less accurate than the Garmin Edge 500 navigation system. 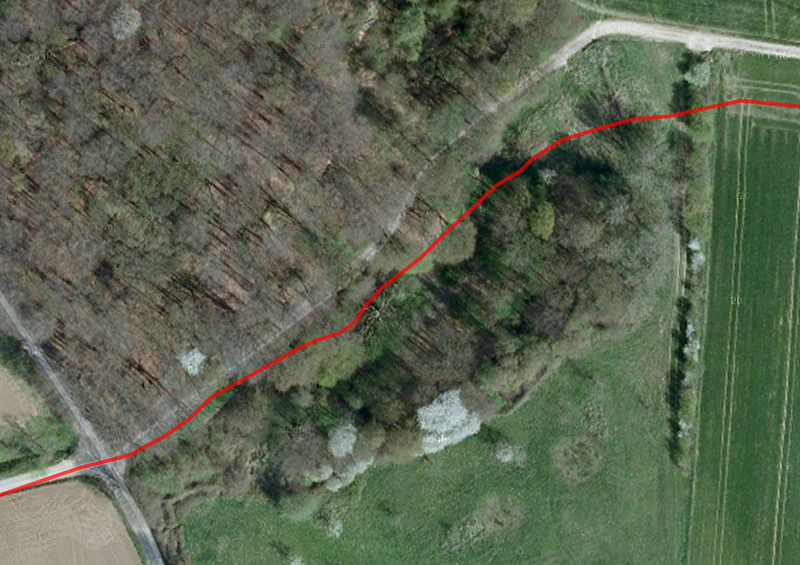 First, the measured distance clearly deviated by 400 meters (~1/4 mile), and second, the route recorded by HTC's One Mini 2 varied wildly when we crossed the bridge. 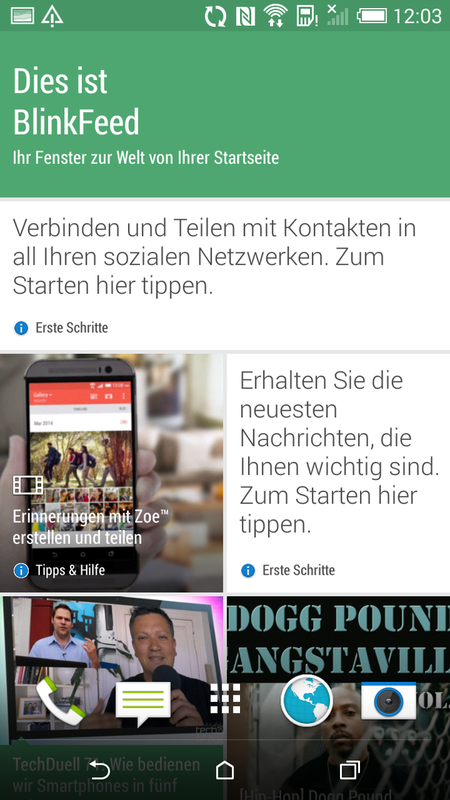 The phone app of Sense 6 deviates from Google's Android app. The number buttons are somewhat smaller, but are still comfortable to hit. It is also possible to switch to the letter keyboard and input a contact's name, which we found agreeable. Besides that, the contact can be called via speech recognition. 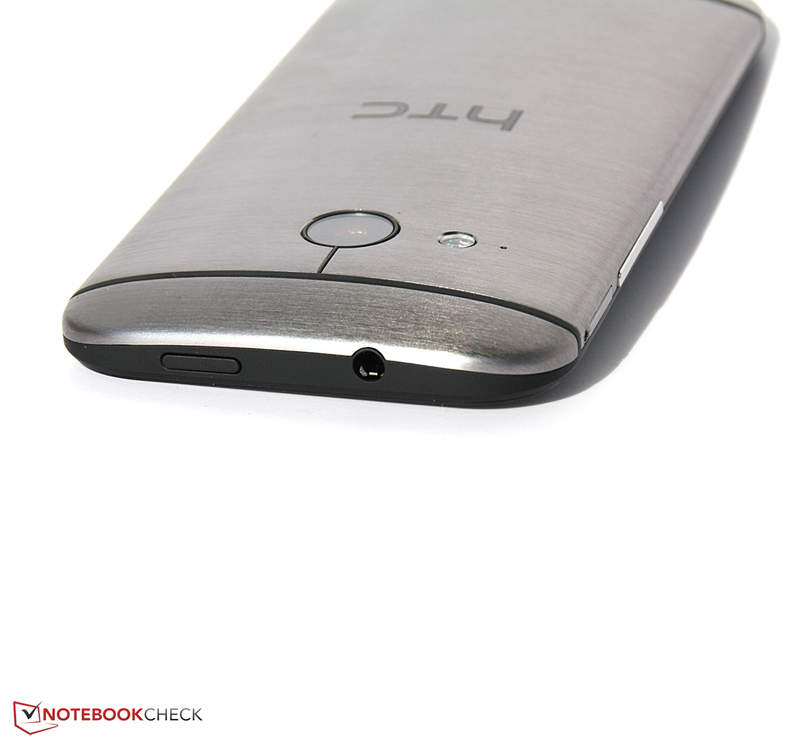 The speech quality of HTC's One M8 already excited us because the integrated speaker was also used as the earpiece, and thus provided an excellent speech quality. This is hardly different in HTC's One Mini 2. The contact is very easy to understand, and the microphone obviously also does a good job. 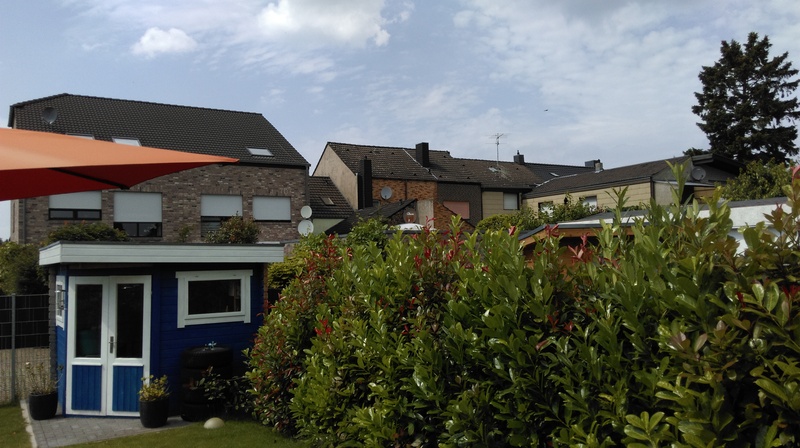 Our contact confirmed a good intelligibility even in louder surroundings. HTC's One Mini 2 is a step ahead of its big idol HTC One M8, as well as its direct contenders in terms of cameras. The rear-facing camera has a high resolution of 13 megapixels, and the front-facing camera supplies an impressive 5 megapixels. Thus, the ultra-pixel philosophy is reserved for HTC's One M8 in this generation: Here, a camera with a relatively low resolution of 4 megapixels is installed. In return, the pixels are bigger, which allegedly results in a better image quality. HTC's One Mini 2 no longer sports two rear-facing cameras, and thus the many, hardware supported effects of HTC's One M8 are not available. 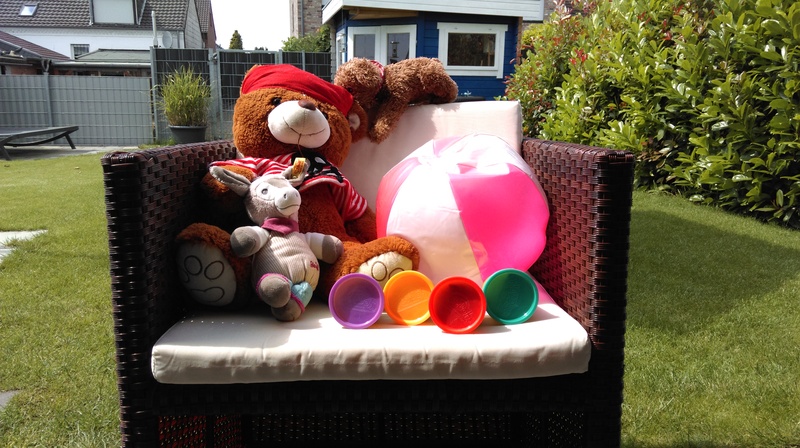 The 13-megapixel camera shoots decent pictures in a somewhat unusual 16:9 format in default settings. However, this can be changed to 4:3 in the settings, which then also allows using the full resolution. The resolution is only approximately 10 megapixels in 16:9. An LED flash supports the rear-facing camera in poor light. The auto-focus responds quickly, and a series of pictures can be taken when the release is held down. 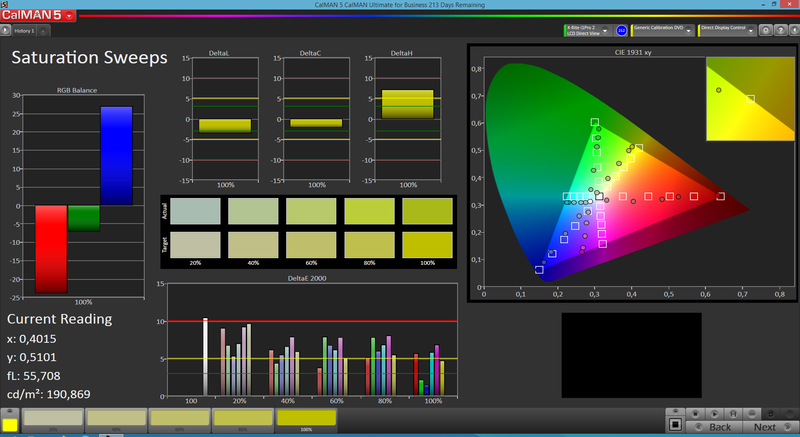 Users can also redefine white balance, exposure, ISO value or select a predefined setting in the menu. The photo app's design is agreeably simple and clearly arranged when the settings are faded out. The camera frequently detects the light incorrectly. The pictures sometimes look overexposed, and sometimes too dark. In return, the pictures are rich in detail, sharp and vivid. 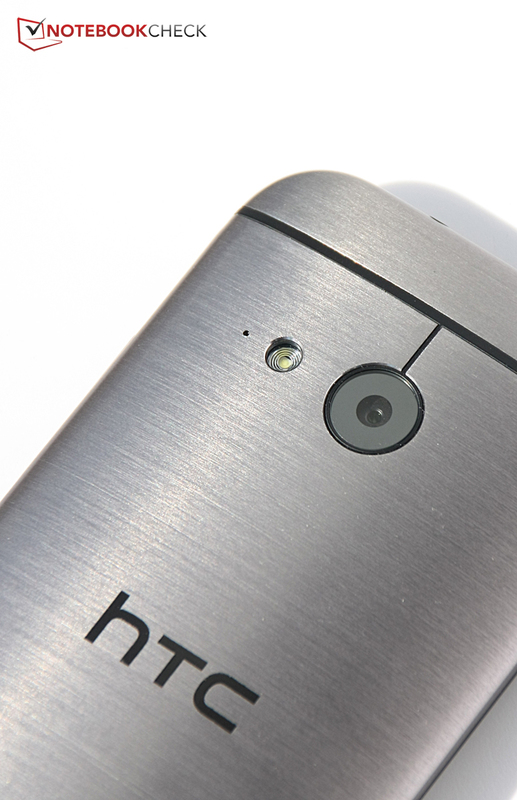 The user should have a steady hand because there is no image stabilizer like in HTC's One M8. The front-facing camera's high resolution allows taking focused and high detail selfies. However, a steady hand is again needed, and frayed outlines are noticed when looking closely. That is still acceptable for a front-facing camera that is mostly used for video chats or shooting selfies. The box of HTC's One Mini 2 does not contain quite as many accessories as included for HTC's One M8: A charger, micro-USB cord, and a stylishly designed, wired headset with decent sound. Regrettably, the One Mini 2 does not come with the DotView Cover like the bigger model. In return, HTC Fetch is coupled with the phone and triggers the ringtone when the user has misplaced the device. It can also warn the user that the phone has been forgotten, and transmits the last known location when the phone and Fetch have been lost. This little helper costs 15 Euros (~$20). 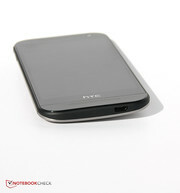 HTC Mini+ is a remote control that, for example, accepts calls while the user continues to browse on the One Mini 2. It can receive text messages besides many more things. However, this feature is a bit pricey at 113.99 Euros (~$155). A portable speaker with integrated smartphone stand, a wireless speaker, and HTC's Media Link HD for transmitting data from portable devices to the TV, like Google's Chromecast, are also available. HTC includes a 24-month standard warranty. The manufacturer itself does not offer any upgrades. The capacitive touchscreen is again a very high-quality input device. It responds reliably up to the edges, and features a very sleek surface. The volume rocker and power button provide well palpable and audible feedback because they are reliable and easy to find. 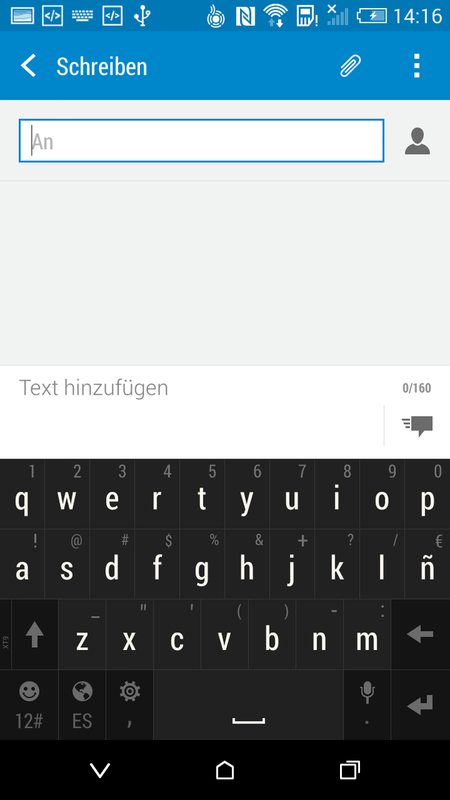 HTC modified the keyboard and renamed it "HTC Sense Input", and it now has a few features that need getting used to. 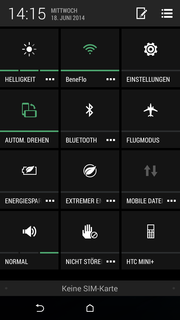 First, the keyboard is stuffed with characters and alternative symbols that can be selected by pressing longer. That was a bit annoying in HTC's One M8, but is now even more annoying due to the lower resolution and smaller screen because it affects the overview. Additionally, the keyboard's language and layout have to be switched separately. 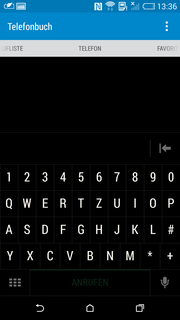 While the German umlauts are accessible via the language settings, the German "QWERTZ" keyboard layout has to be set separately. However, there are many setting options. 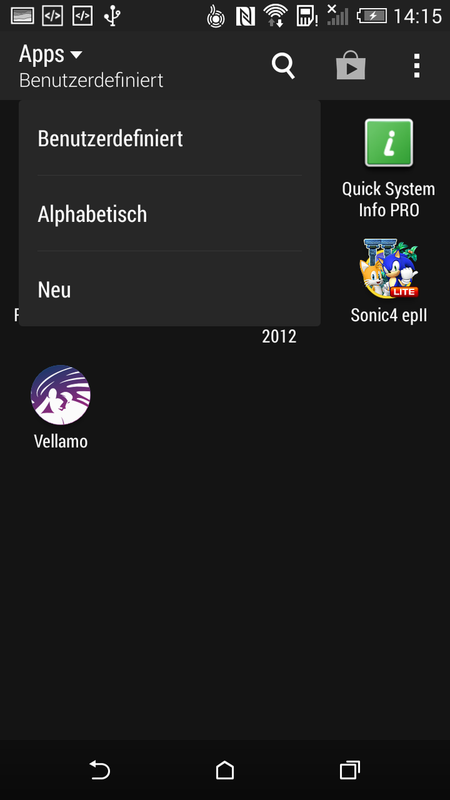 Speech input and inputs via swiping over the keyboard are also possible. That is not a major problem: Users who dislike the keyboard can find many alternatives in the Play Store. 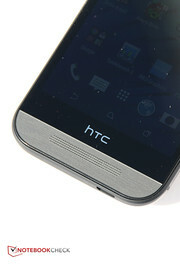 HTC traditionally does not use IPS screens or the AMOLED technology, like for example Samsung, but relies on SLCD screens. This worked well in HTC's One M8. Will that also apply to HTC's One Mini 2? First, the screen has a lower resolution. 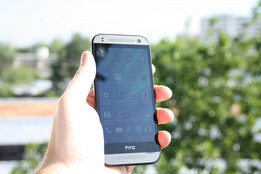 It still displays 1280x720 pixels; HTC's One M8 provided a Full HD resolution. That is not as tragic on relatively small smartphone screens as on a 50-inch TV. Nevertheless, the image reproduction of HTC's One Mini 2 does not look as sharp and brilliant as it did in the bigger predecessor. The brightness of HTC's One Mini 2 is on average about 10% lower than HTC's One M8, and a bit lower than that of the former HTC One Mini. However, an average of 438.7 cd/m² is not a bad rate. All three HTC One model that we are looking at have the homogeneous illumination in common. With 94%, HTC's One Mini 2 has an even slightly better homogeneity than both other phones. In fact, both dark and bright areas look evenly illuminated. 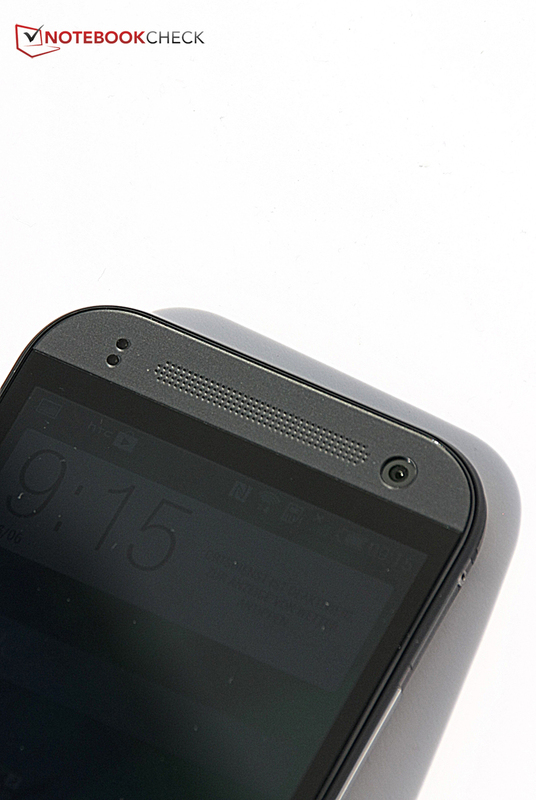 The black level of HTC's One Mini 2 is satisfactory at 0.57 cd/m², but also a bit higher than HTC's One M8. 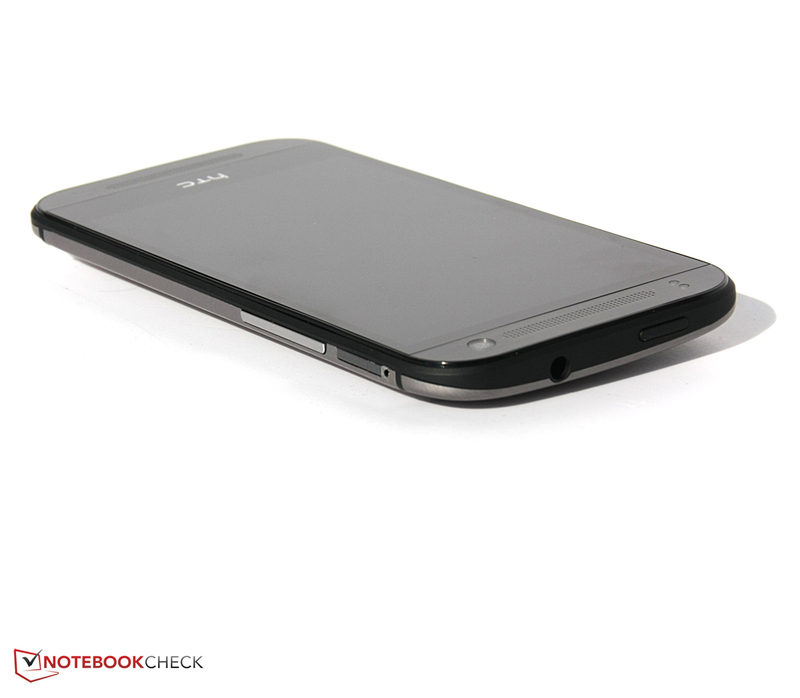 Both the Xperia Z1 Compact and Samsung Galaxy S4 Mini achieve a significantly better rate owing to an absolute black. The screen's contrast in HTC's One Mini 2 suffers under that and the somewhat lower brightness. Though 779:1 is not a bad rate, both compact phones from Sony and Samsung are clearly in the lead. 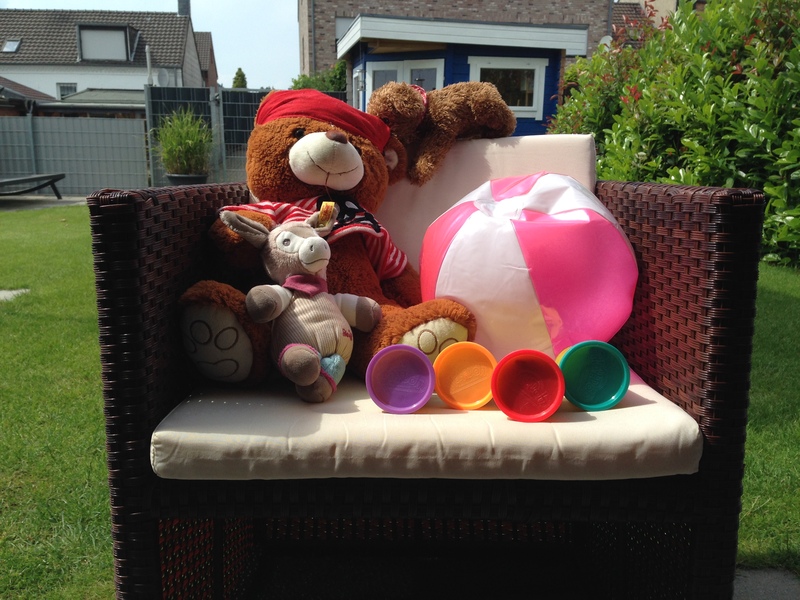 Like in HTC's One M8, the color reproduction looks a bit pale in total. Thus, users who prefer warm colors will not really be satisfied with HTC's One Mini 2. Unfortunately, there are no settings for adjusting the reproduction to the user's preferences. 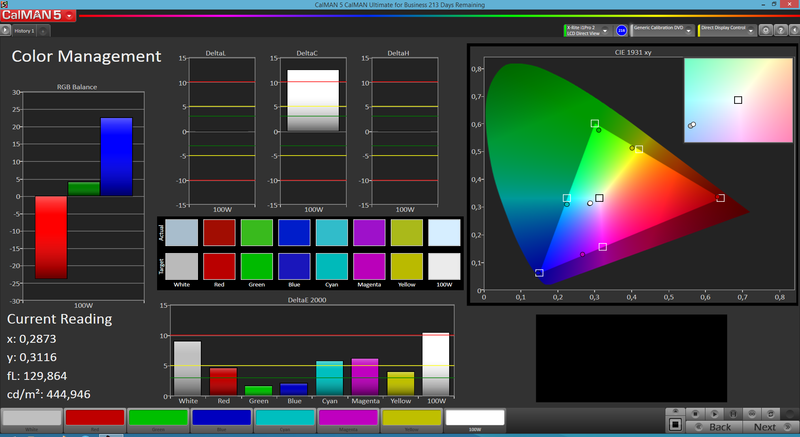 On the other hand, users who like subdued colors and cool color temperatures will cope well with this configuration. 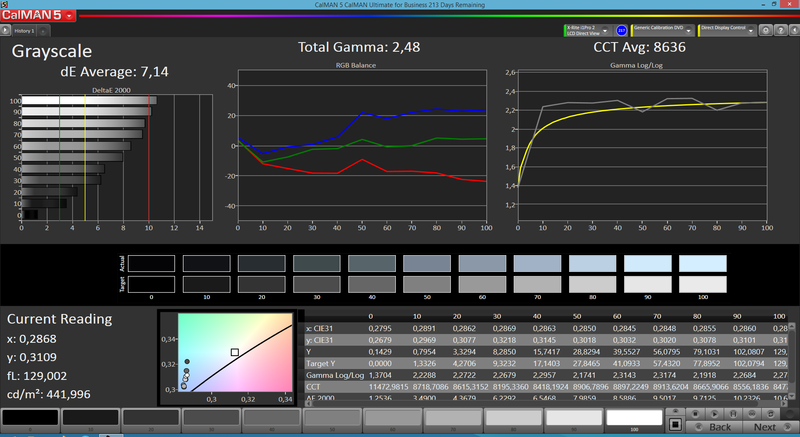 The assessments using the colorimeter and CalMAN software quickly reveal that this impression is true. 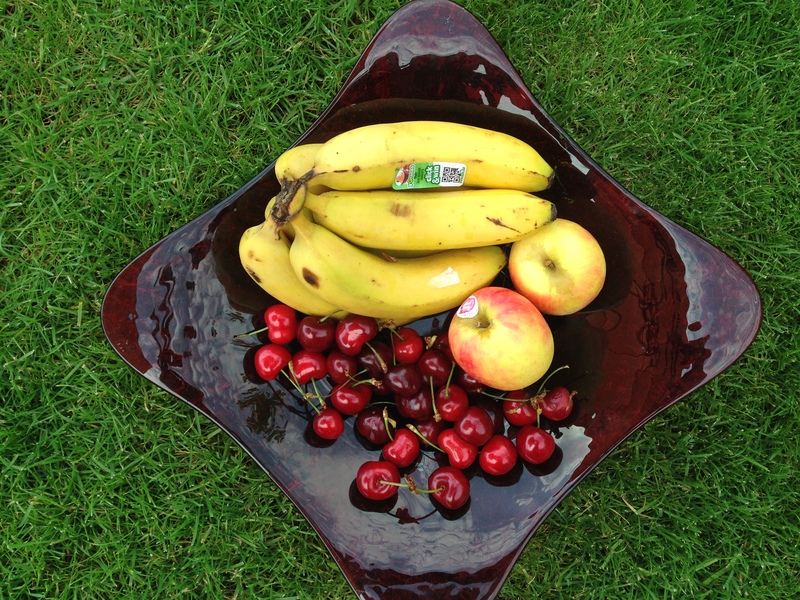 Bright colors have an intense bluish cast; the saturation of red hues is extremely restrained. 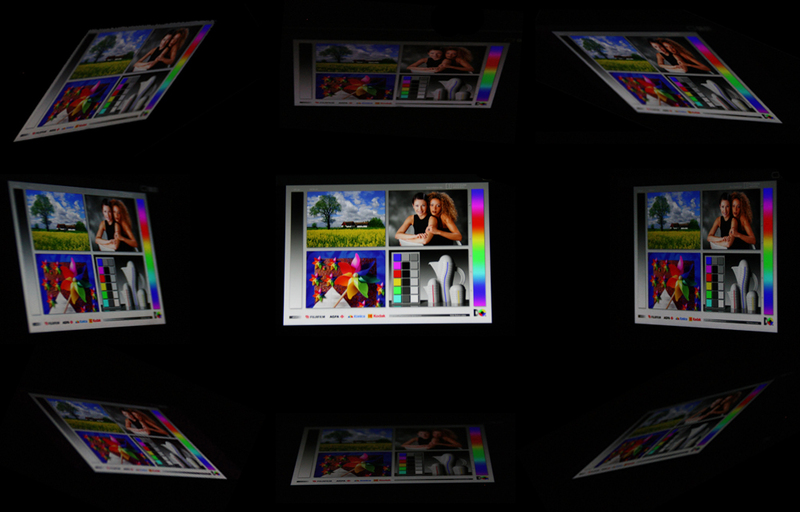 Consequently, light colors deviate strongly from the ideal rate of the reference color space. HTC's One Mini 2 can be used outdoors, but struggles with the screen's reflective surface like all smartphones. Distracting reflections appear in bright surroundings, and they often lead to illegibility in sunlight. 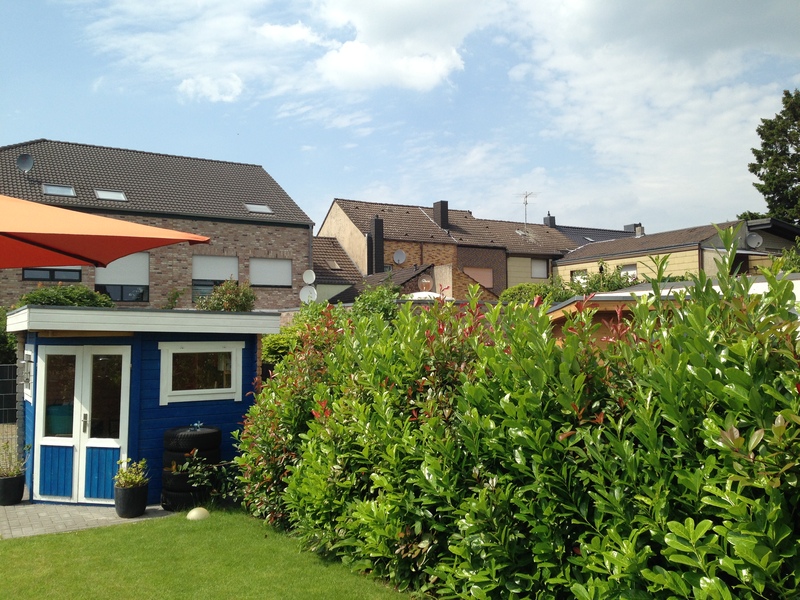 The user will have to either look for a place in the shade or go indoors in that case. Then everything can be recognized well again. 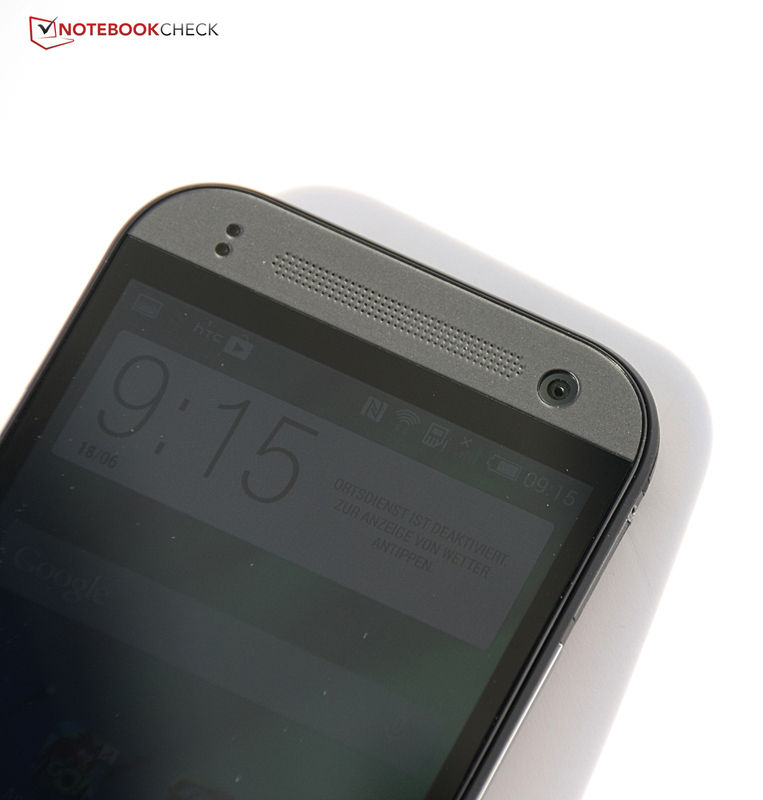 Very minor brightness losses were noticed from extremely flat angles in HTC's One Mini M8. HTC's One Mini 2 can also be viewed from virtually every position without visible brightness and contrast deterioration. We quite like that. Everyone has to differ from their family members somehow. Naturally, HTC's One Mini 2 is not quite as strong as HTC's One M8, but it is less expensive in return. A Qualcomm Snapdragon 400 MSM8226 with a clock of 1.2 GHz and four cores powers the smartphone. Additionally, a working memory of 1024 MB and the Qualcomm Adreno 305 are installed, like in HTC's One Mini. The CPU's clock rate is only a bit over 50% of that of HTC's One M8. Thus, HTC's One Mini 2 could lag behind. 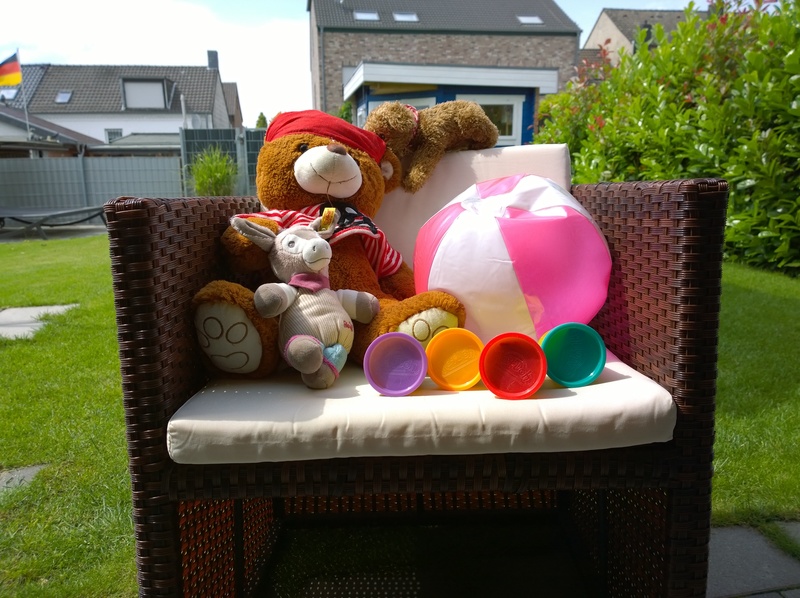 The SoCs in both the Xperia Z1 Compact and Samsung Galaxy S4 Mini clock considerably faster. HTC's One Mini still clocked at 1.4 GHz, but was also only powered by a dual-core SoC. In fact, our review sample clearly falls behind its contenders in many benchmarks. Particularly the Xperia Z1 Compact takes a clear lead with a higher performance of 80 to 179%. Fortunately, we did not ascertain cheating in the benchmarks this time. We noticed that system parameters (maximum temperature, etc.) were modified as soon as a benchmark was recognized in HTC's One M8. This is no longer the case here. 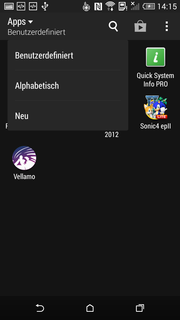 The smartphone achieved similar results after installing the apps from renamed installation packages. It does not look much better when it comes to games. Except for HTC's One Mini predecessor, all compared phones are either on par or considerably faster. Again, the Xperia Z1 Compact proves to be the swiftest smartphone. Internet browsing is speedy; the benchmarks show a slightly above average performance for HTC's One Mini 2 here. The storage makes a mixed impression. Sequential access is very swift, while accessing sectors randomly needs longer than the compared devices. However, our review sample is faster than the Galaxy S4 Mini in all storage tests, and delivers an above average performance. Overall, HTC's One Mini 2 exhibits an acceptable mid-range performance. It is usually possible to work with the smartphone without lags in practical use. Nevertheless, there are considerably faster phones for a similar price. Thus, users who want to be absolutely fit for the future when it comes to gaming should instead look around for a premium smartphone, or would still be well served with Sony's Xperia Z1 Compact at best. HTC's One Mini 2 will satisfy users who are content with playing most current Google's Play Store games smoothly. In particular, since input devices, such as the touchscreen and position sensor, function accurately. We tested both 2D games like Angry Birds: Star Wars and 3D games such as Real Racing 3. HTC's One Mini 2 displayed all these games smoothly, and did not have problems even with larger masses of troops or the innumerable effects in Lego Star Wars: The Yoda Chronicles. 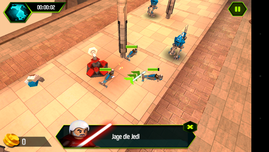 Even more sophisticated games, such as "Lego Star Wars: The Yoda Chronicles" are barely a problem. 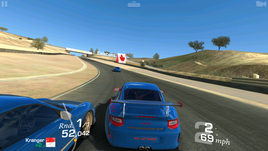 No more than "Real Racing 3". Users need not fear that the compact casing and the consequently smaller space for cooling will also increase heat dissipation. HTC's One Mini 2 is not much cooler or warmer than its contenders in use, and never gets excessively hot. It even remains overall a bit cooler than its predecessor during load with an average of 39 degrees Celsius (102.2 Fahrenheit) on the front. The absolute maximum is 41.8 degrees Celsius (107.24 Fahrenheit) at the earpiece. The larger HTC One M8 did not heat up much despite its significantly higher performance either. In return, HTC's One Mini was a bit cooler in idle mode, but the successor does a good job here and reaches a maximum of 35.5 degrees Celsius (95.9 Fahrenheit), again in the area of the earpiece. Overall, the idle temperatures are barely noticed except for in the front's upper area. (±) The maximum temperature on the upper side is 41.8 °C / 107 F, compared to the average of 35.6 °C / 96 F, ranging from 22.4 to 51.7 °C for the class Smartphone. HTC's One line has become famous for the rich sound and great speakers. The speakers in HTC's One Mini 2 are also compelling. Louder than some laptops, the sound is very well balanced and dominant. Even subdued bass is heard and felt. However, it is noticed that single instruments are not quite as well differentiated in maximum volume, and that a very light boom sneaks in. The bigger HTC One M8 does a somewhat better job, but other contenders like Sony's Xperia Z1 Compact lag very far behind here. The sound is no longer supported by Beats Audio, but from HTC's own "BoomSound" technology. However, the user does not have very many setting options. "BoomSound" can only be disabled by connecting a headphone, and there is no equalizer ex-factory. HTC's One Mini 2 is in good company with its SoC from Qualcomm's Snapdragon 400 line. Many contenders also use an SoC from this range. Only Sony's Xperia Z1 Compact relies on the 800 line. Nevertheless, the power consumption rates deviate greatly. 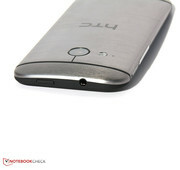 Even if HTC's One Mini 2 is exactly within the category's standard, it is quite hungry with a load maximum of 4.5 Watts. The consumption rates of HTC's One Mini 2 are approximately 20% lower compared with the larger and significantly more powerful HTC One M8. The idle consumption is roughly the same as HTC's One Mini predecessor, and only the load consumption has increased by approximately 15 to 20%. The lithium-polymer battery is bigger than the one in the predecessor. 7.77 Watt hours of HTC's One Mini 2 now oppose the 6.66 Watt hours of HTC's One Mini. HTC's One M8 was only convincing to an extent in battery runtime. 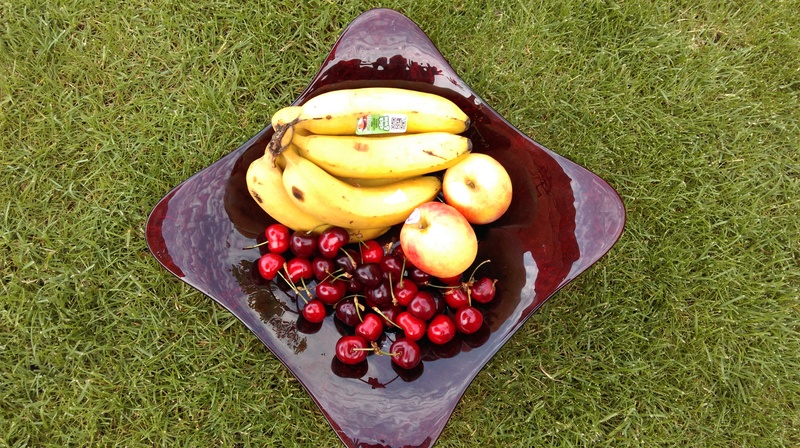 Though it was suitable for practical use, 7:33 hours in the Wi-Fi test did not break any records. HTC's One Mini 2 has a smaller battery, but also a lower power requirement and thus achieves better times; a good 1 1/2 hours more in Wi-Fi browsing and over 2 hours more movie entertainment are clear-cut. However, the battery runtimes have not changed greatly compared with HTC's One Mini. When considering the other compared phones, we have to say that HTC's One Mini 2 does not score very well in battery runtime. For example, the iPhone 5c lasts 5 hours longer in Wi-Fi browsing; Sony's Xperia Z1 Compact even manages 10 hours more. 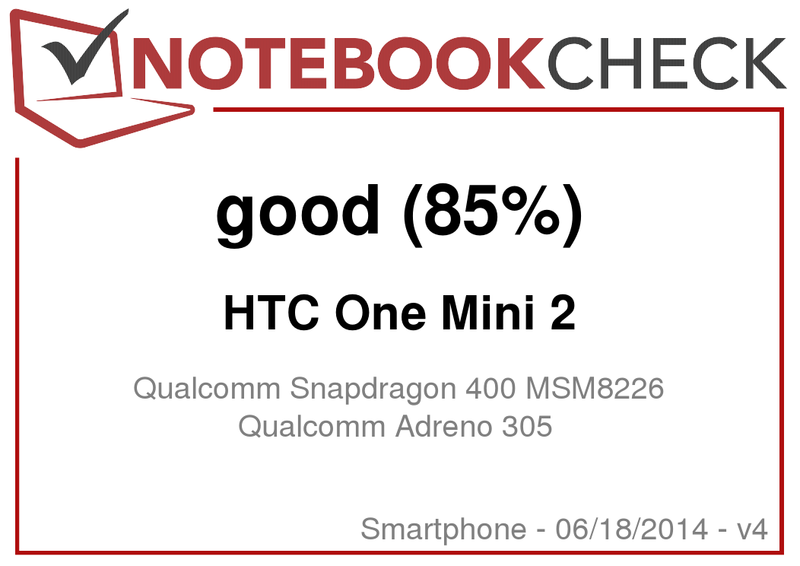 Seen in whole, HTC's One Mini 2 provides decent battery runtimes, but more would have been possible. We all know that children sometimes have minds of their own. It can even happen that they are better than their parents in some things. We saw that the little ones even occasionally manage to surpass their big idols in Sony's Xperia Z1 Compact. Now HTC's One Mini 2 wants to show the bigger HTC One M8 how to do things better with longer battery runtimes and a high-resolution, rear-facing camera (for everyone who is not interested in HTC's ultra-pixel philosophy). The performance of HTC's One Mini 2 is not competitive. Users who expect absolute top performance from their smartphone and want to play every Play Store game smoothly, no matter how sophisticated, will be on the safe side with HTC's One M8. The street price between the One M8 and One Mini 2 is currently not very different either. The screen has a lower resolution, it does not sport quite as many sensors, and Wi-Fi is not as fast. If all that is no problem, the One Mini 2 is a serious alternative for the big predecessor. 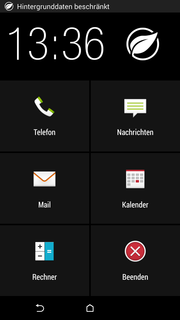 In return, the crowded software interface of HTC Sense 6 can occasionally get a bit unmanageable on the smaller and lower resolution screen. Compared with the predecessor, the superior casing, even better speakers, and higher performance dominate positively. HTC's One Mini 2 can compete with the other contenders although the extremely low price of Motorola's Moto X or the great battery runtimes and high performance of the Xperia Z1 Compact speak for themselves. 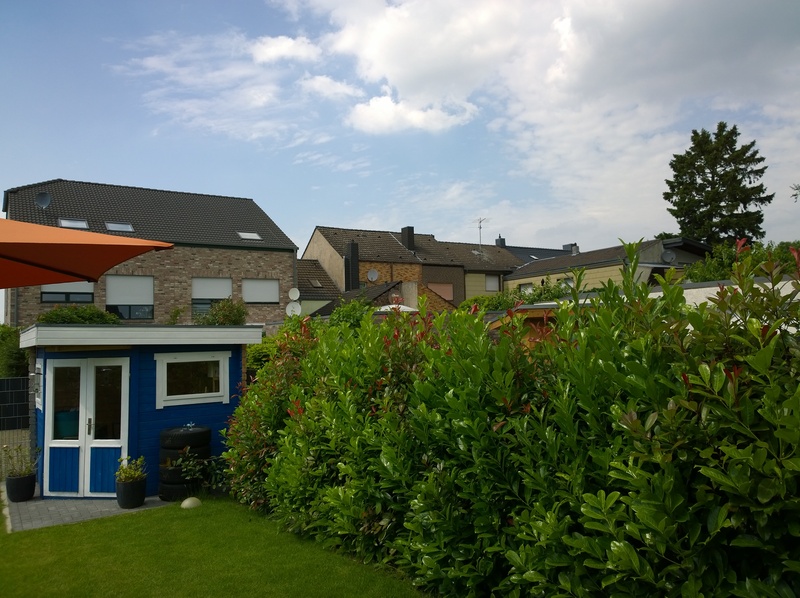 In review: HTC One Mini 2. Review sample courtesy of HTC Germany. HTC takes a shot with a smaller version of its One M8, which involved a few modifications. The front-facing camera still has a resolution of 5 megapixels and shoots great selfies. The front-sided speakers with the great sound are also still present. This time there is only one camera on the back, but with a fairly high resolution of 13 megapixels. The picture quality is good, but the brightness is not always set correctly. The quality of both material and build are still first rate. HTC's One Mini 2 is nice to hold owing to its 4.3-inch size and curved back. 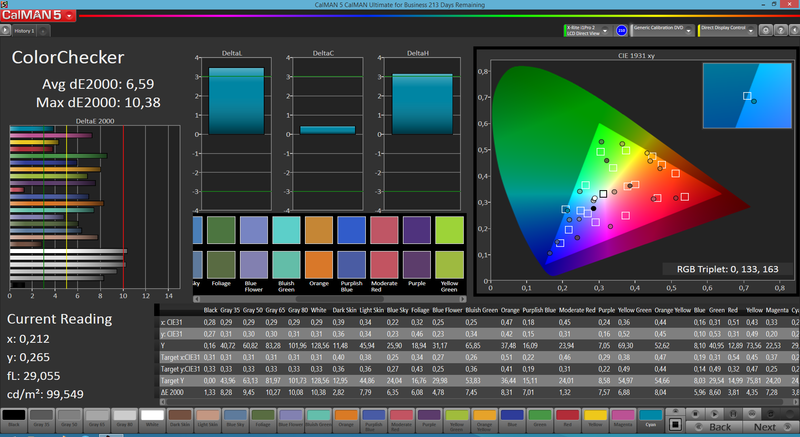 The screen displays slightly cold colors, which is due to the intense bluish cast. We would not have minded if HTC had a bit more power; the contenders are a step ahead here. The One Mini 2 is a very good alternative for anyone who was not happy with the camera in HTC's One M8 and appreciate the smaller size. Especially since the waste heat stays within limits. The design is also attractive. The aluminum back has a great feel. HTC has hit a downright home run. 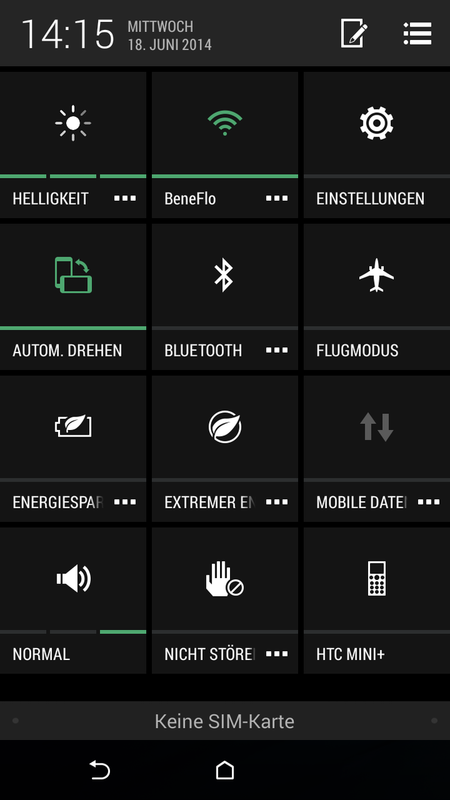 HTC includes a few apps that are appealing and useful. 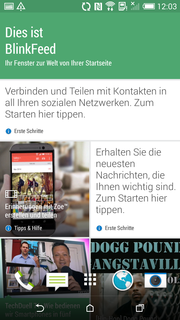 BlinkFeed also pleases with its design, and how it displays news from the Internet and social media. The Extreme Power Saver mode significantly extends the battery runtime even when the battery capacity is low. That is very handy when the charger has been forgotten and an important call is expected. Contacts can be found via the letter keyboard in the phone app. Games like "Real Racing 3" run smoothly, but the smartphone is not very fit for the future due to its at most middling performance. 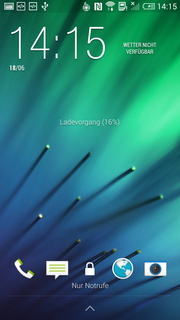 HTC Sense 6 looks modern and clearly arranged, but sometimes also crowded on the small screen with its low resolution. 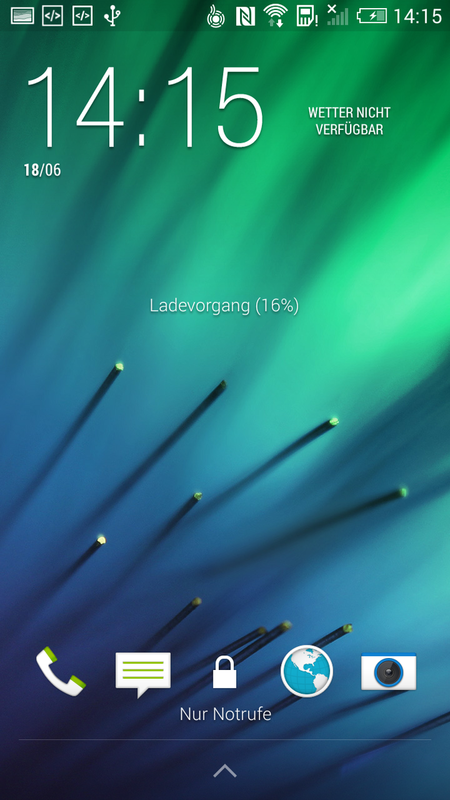 Things can be managed quickly in the quick settings. Apps can be arranged by various criteria. The keyboard also looks a bit crowded. The great casing and the superb speakers. A bit more power - please! Just how high-quality even a mid-range smartphone can feel.